The initial merge into truck driver training was a bumpy road for me, to say the least. 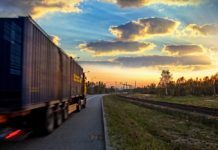 We covered my first experience in the post Truck Driver Training – My First Experience a few weeks ago and now I would like to share my second experience in truck driver training. We left off when I returned home from Kansas via a Greyhound Bus. If you haven’t had the privilege of taking this elegant form of transportation I highly recommend it. Once I arrived back in Utah I spent a few days at home waiting for another driver trainer to come through so I could start my truck driver training period all over again. After a few days at home I got a phone call from the company that they had a new driver trainer for me and I had to be down to the terminal as soon as possible. Trucking is very much like the military in this respect, hurry up and wait. So I get everything I need together for this new journey and with renewed faith in the truck driver training system I embarked on this new adventure. I headed to the terminal and met my new truck driver trainer. He was a middle aged man, fairly nice, seemed laid back, so again I was hopeful. We grabbed our first load and headed off for Seattle. I was able to start driving from the beginning and all was well. I don’t remember much about the first trip except for the interesting parts. I remember trying to get off the interstate to get something to eat. We ended up getting off an exit that had no on ramp. Thus cementing the idea, early on in truck driver training, that you cannot just take any old exit you feel like. This is because if you don’t have a way to get back on the freeway you are up a creek and are putting your driving record in danger. I also recall getting into Seattle about 8 p.m. that next evening. And the truck broke down! We were stranded on the side of the road waiting for a tow for about 3 hours. It was funny to me how the first day went relatively smooth and the second day the truck takes a dive. We were only about 15 miles away from our delivery when the truck broke down. However, in order to get us back to the local company terminal we had to get towed about 30 miles in the opposite direction. So instead of the load being 15 miles away, it was now 45! I found this pretty silly. So we get back to the local terminal and my truck driver trainer was able to get us a lift to a Del Taco and we had some dinner at like one in the morning. Then we went back to sleep in the truck to get some rest before we could get a game plan in the morning. If you didn’t know, not much happens office wise after about 5 p.m. in a trucking company. And really nothing on the weekends either. The next morning he wakes me up with some exciting news! He’s going to become an Owner Operator for the company we work for! And he has to fly about 1800 miles to go get his new truck. I figured this meant I was screwed and was taking another Greyhound bus back home. However, this guy did the stand up thing and we flew down to the company headquarters and picked up a truck. I was able to go through the whole Owner Operator process for the first time with only about 8 days on the job. And the good thing was that I wasn’t signing my name. This would prove to be good practice later for when I became an Owner Operator on my own. 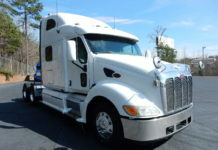 Once we picked up the new truck I was then again optimistic about my truck driver training. 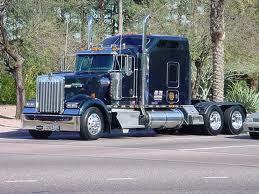 My trainer had stuck with me through a broke down truck and switching to become an Owner Operator. I felt like this time I was going to be able to finish my truck driver training and get out on my own. Our first week out on the truck went well. We were moving and making money. He had introduced me to a member of senior management at the company. (I have utilized this friendship on more than one occasion now) And, I had gotten home for a day while I was out on my truck driver training. Everything was going great, until he told me that we had to go back to the company headquarters (he also lived in the town where the headquarters is located). He said he had to take care of some personal matters and we’d be there a day. I had heard this line from a guy in Kansas before, but I was optimistic. After about 5 days down in Arizona, staying in his truck, at the terminal. (Not Fun) He decided to go back to work to make some money. We went out for about another week and he decided that he needed to go back home to Arizona again. After this pattern repeated itself two times more, I felt less guilt about him being nice and getting the company to fly me down to Arizona. I took my truck driver training back into my own hands. I went to see the executive that he had introduced me to. About 2 hours later I was riding with a company guy to Las Vegas to catch a ride from another company guy back to Utah. Amazing how fast things get done when they are handled by the people in the big building. As you can see my second attempt at truck driver training wasn’t very successful. Again, I persisted and kept going to the point I am at now. Stay tuned for the third installment of my truck driver training. Not letting anything stand in the way of your personal and professional goals will make the accomplishment that much sweeter. 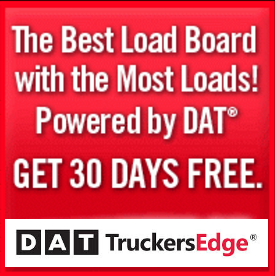 Does CDL Training Really Prepare You for the Road?